We hope you've had a chance to test out WebPreserver's awesome features and functionality. Based on feedback from users we have added three new functions. It's one thing to get a PDF. 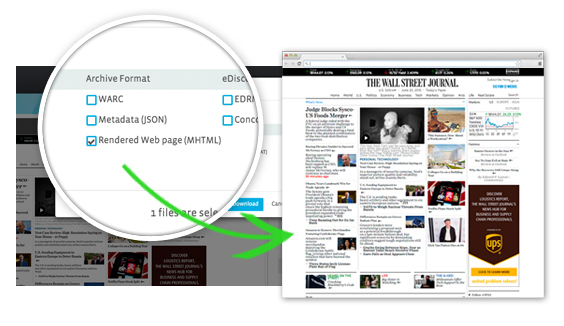 By popular demand, WebPreserver now also offers an entirely browsable Snapshot of the captured web page or post. That means you can view a WebPreserver capture in your web browser just like it was when you initially preserved it! Do you want the facts and just the facts? With WebPreserver's new forensic report, you get a quick and clear presentation of all the web data collected. Download an example below. 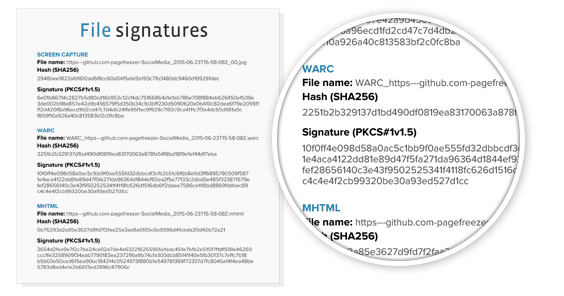 To make integrating and data forensics with eDiscovery tools even better, we now added additional file Metadata, Digital signature & hash information in our EDRM-XML and Concordance DAT file export.